A purple coneflower. 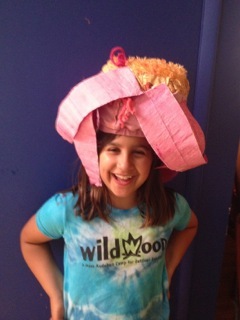 One of our new meadow flower costumes this year for Fresh Pond Creatures at Honk! Join our Fresh Pond Creatures contingent on Sunday, October 12th. This informal Cambridge community group will march in the 9th annual Honk! Parade, a festival of brass bands from all over the United States. All Cambridge families and individuals are welcome to join Fresh Pond Creatures. Help celebrate the ecosystem at Fresh Pond Reservation. You may use scooters or bicycles or may choose to walk. Strollers are welcome too! You can be any plant or animal that calls Fresh Pond its home (no bears or dragons, please). We have costumes and masks to lend to you during the parade, or you can help hold one of our banners. This year we’ll be marching in the parade dressed as: Giant Great Blue Herons (birds), a Peregrine Falcon, Sunflowers, Purple Coneflowers, Bluegill (fish), Rabbits, and Red-winged Blackbirds. Categories: Cambridge, Children, Massachusetts | Permalink.